I had tweeted it earlier this week, but I got word back from the nice corporate folks at Ben & Jerry’s that the flavor list for 2010 is set and there is no library flavor being developed on their 2011 list. I had sent in an email asking for an update or some word as to what (if anything) was going on and this was the reply. For a moment, I stared at the email and let the words sink in. Yes, I was disappointed, but I was also relieved to have some semblance of closure. When I started “the campaign”, I had no idea where it would go if anywhere. 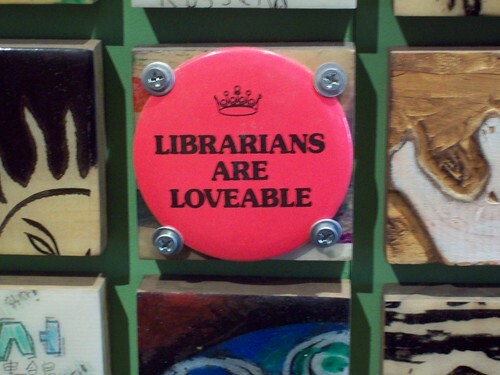 It was a nice and fun idea with some serious underlying advocacy for libraries. I may be wrong, but I think that’s what attracted people to it in the first place. It has certainly been awesome to watch it ping around the globe and see people’s reactions to it. Hell, I’ve been introduced at meetings as “the Ben & Jerry’s librarian”, something I think that will follow me a good long while. So, I’ll enjoy the very small limelight and be able to start working on other projects that interest me. I have a couple kicking around, so you have not heard the last from me. The good news that I took out of this is that the 2012 list is still up for grabs. (That is, if the Mayan/Aztec/Initech/Whatever-tec calendar is wrong.) In a couple of years from now, I bet you’ll see a Gooey Decimal System or Libberry Pie or Rocky Read. We (the royal we, the group) just have to keep plugging away. Just like our collections, we know we have a good product here, it just takes time to reach everyone. So, keep on keeping on. Mr. President, Where is Your Library Card? As ridiculous as some might find that question, I’ll say that I’m surprised that during National Library Card Signup month, no one has asked it. 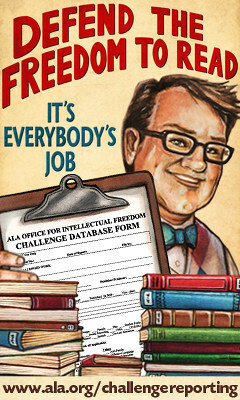 Not the ALA, not even the PLA, nor any state library association. This isn’t some far fetched request of documentation that has been pressed upon the President; this is a look for support from the top regarding a necessary public institution. And, quite frankly, if there was ever a time when the public library could use a boost from a charismatic individual, this would be the time. Unless you’ve been living under a proverbial rock in the library world, states have been making dramatic cuts in their state budgets that are affecting library services. This is not the time to dither or dilly-dally on the sidelines, but to assert ourselves in the public arena. This is the moment when public libraries are needed more than ever. We’ve all read about how usage is up, how we help people with job searches, and how people turning to the public library to help them in the time of the recession. We know our own value, but do the people who represent us do? There is no time like the present to reach out to our representatives and ask them, “Where is your library card?” We need to know where they stand on issues of library funding. Here’s some quick links to politicians and their contact boxes. Find your Representative and call/write to them! Honestly, in looking at the shape of political debate of the last couple of months (in particular, with healthcare), there is a clear need for facts and information. Libarians can help people learn about the healthcare debate from non-partisan sites like FactCheck.org & PolitiFact OR help people do their own detective work about the healthcare system with online databases and personal periodical holdings. They can get all of the facts and statistics for themselves and make their own informed decision based decision on the issue without the spin or hype of the commentators. Now is the time to be informed about decisions that have implications for years and decades to come. In honor of the American librarian, quit making up stuff and look it up. You can do it at your local library. We would be more than happy to help. In ruminating on a post on Librarian By Day, I was sitting in the back of the Children’s section of the county library surrounded by rows and rows of books. The hum of the highway behind me is constant on this busy county road as is the sounds of kids and parents navigating the stacks. For a brief moment, alone at one of the work tables in the back, I thought to myself, “What if these books weren’t here? What would take their place?” It’s the ultimate of blank slates. What would you put there? Print? Computers? Reading spaces? Meeting spaces? A coffee bar? What is the new “now” for libraries in design and function? Personally, I fear that some of my peers would be so distraught by such a dramatic loss of the print collection that they would be paralyzed from seizing the opportunity to innovate the space. This blind allegiance and reliance to a medium would completely sully any sort of exercise in library design, even a fancy of the imagination such as this one. I’m not completely insensitive to their preferences, but for defenders of intellectual freedom, it seems odd to ask for some open mindedness when it comes to our own physical holdings and locations. But rather than dwell on a space without books, another thought occurred to me. “Where is the real point of contact between patrons and our materials?” While patrons come to us for what they seek, we are but a simple middleman in the process. The real point of contact, in my opinion, is the manner in which people absorb information. The connection of eye and print or picture, of ear and audio, and for some, touch; this is where the library experience is complete. These are the types of transactions we are facilitating. All the debate about what the library space is (should we have coffee bars, ‘loud rooms’, video games, and so forth) melts away into background noise as it reduces everything down to the commodity that we harbor: information, pure and simple. This is the bond we help create, to protect, to nurture, and to teach. And, for myself, this is the distilled essence of the profession. And it is why I love what I do so very much. We encourage the people who come to the library to be a blank slate for new authors, new stories, new ideas, and new worlds. We should not fail to apply that advice to ourselves. In helping others establish and maintain their own connections to our holdings, our own attitudes towards the mediums should remain fluid. 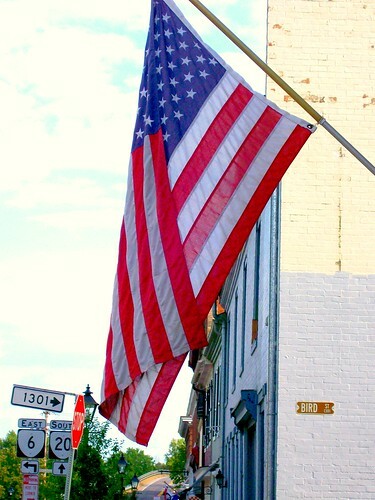 We owe it to ourselves and the proud tradition we maintain. And, like the concepts and imaginings that pass by as we walk through the library, we owe it to them. Let the flourish in as many ways possible, for no medium is a master over ideas. And ideas, like the paper they are printed on, the people who take care of them or digital space they are stored on, and the buildings that house all of these things, will outlive us. But they rely on us to find them new homes in the minds of our patrons. That is what is important, that is what endures, and that is what sparks the human mind. One of my coworkers and I have been working on a fun project for our library over the last couple of weeks. We are creating a geocache to house within the library. (Short explanation: geocaching is a sport in which participants use handheld GPS to locate hidden bins or boxes in any setting. The cache has (at the very least) a ledger to sign; it might have items to exchange, things to do to get credit for finding it, or have clues to other geocaches. For more explanation, here’s the website.) I got the idea for this from one of the “books” my grandmother had on her bookshelf. 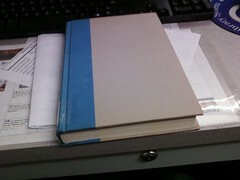 It’s one of those hollowed out books that you can put small items and valuables into. While I won’t reveal the phony title and name (so that people who might stumble upon this can enjoy the search), here are some pictures to give you a better idea of what it looks like. The books as it looks while closed. Note the tape on the lower left spine. We put a shelf tag on it to make it look like everything else! 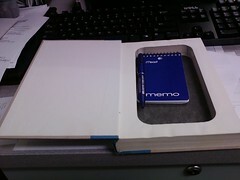 And here’s the inside, complete with ledger and pen. We have more things to add to the inside, but the basics are there for the moment. About two years ago, I was hired as a part time librarian for the library where I now work full time. 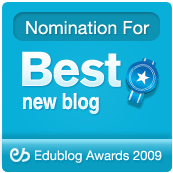 Recently I’ve been thinking about how some new librarians have taken stock of their experience of the first couple of years in their blogs. They talk about how they have changed professionally, where they think the library field is going, and what their current goals are. These are true exercises in introspection and a meditation on what it is like to be a modern librarian in this age of internet and mobile technology. The challenges, both old and new, renew our commitment to the profession that we love as well as demand new ideas and innovations. So, as I’m signing a work order for a plumber who came to the building to fix a toilet, I’m thinking about how there are things in public librarianship that are never addressed in Master’s of Library Science program. There was nothing in the management class that has addressed some of the things I have encountered in my two years of public librarianship. So, in a different sort of listing, here are a few things that were never mentioned in my graduate program about public librarianship but everyone should know about. You will need it. You need to be able to effectively communicate to noisy kids, disruptive teens, oblivious parents, passive aggressive seniors, coworkers of various temperaments & theory of librarianship approaches, political officials of all stripes, and the myriad of pleasant to impatient patrons you will meet. This is not to say that every day is filled with social conflict, but that you need to be prepared for it when it happens. It is a fine balance of customer service, library policy, and your own discretion as to what is just and fair that can make or break the encounter. The one truth is that has to be accepted is, no matter how diplomatic you are, there will be people who will not be satisfied no matter what you do. Expend your energy as best you can to get the best result, but do not dwell on what cannot be done. On the flip side of the coin, diplomacy can be used to negotiate a better deal or experience for a patron. In gauging the patron’s needs, you can raise their expectations by providing services and/or materials above and beyond their original request. This is a “trade up” in which both sides win; you can market other aspects of the library (such as programs and collections) while the patron learns something that they never knew about from the library. By applying your diplomatic skills, you can make a trip to the library a memorable experience. This also allows you to talk a presenter into accepting a few more people into their program, to solicit different types of donations from the community, and to get better deals with vendors. When it comes to getting goods and services for the library, everything is truly negotiable. While I’m in a county library and there are people who handle maintenance exclusively, I am still a "first responder" to most building situations. Burned out or flashing lights, wobbly tables, broken chairs, loose shelving, cracked windows, busted doors, stained carpets, broken toilets, various alarm malfunctions (security, generator, sump pump, and/or fire), electrical failures, computer network crashes, ill tempered vending machines, rebellious printers, jammed copiers, the whole HVAC system, leaks of all types, and invasion attempts by birds, rodents, insects, and the whole Fungi kingdom. This does not include things that go wrong outside the building, such as tangled flagpole lines, slippery sidewalks, parking lot accidents, leaky roofs, clogged gutters, laborious snow & ice removal, regular lawn care, and the occasional book drop vandalism. (You get the idea.) Even if I’m not the one who has to fix them, I still have to know who to contact and be able to describe the problem to them. You can go from helping a patron put a hold on a book to reaching into a fish tank up to your shoulder attempting to scoop out a dead fish (true story). If it has moving or electronic parts, you will soon become an passing expert in it. The most obvious application of this virtue is in service of patrons in general, for the life of a public librarian has a lot of explaining in it. Whether it is policy, procedure, materials, or how to retrieve an email or get a library card, you will have to be able to tell someone how to do it or find it. Over time, I have whittled down the script for the most commonly asked things into a concise series of points. And since you will end up repeating the more popular ones several thousand (or million, in a larger library) times, you might as well get used to it. The slightly less well known employment of this virtue is shaping policy and implementing changes at the library or system level. The practices and policies of the public library tend to move at a glacial pace, depending on the subject. For any changes that you hope to see through, it will take time and effort to get them to where you want them. Patience and persistence pay off at the end when you affect a major change. And surely as I write these words, you can get it done. When I first started writing this, I had a list of a couple more aspects that I had thought about. They aren’t on the list because they were folded under the aforementioned aspects or I simply couldn’t articulate them in a manner that was satisfactory to me. So, in lieu of being complete, I slapped a “Part 1” in the title and left myself open for future posts. If you can think of things that I perhaps should include in the future (or make your own posts), share your thoughts and links below. At the end of last week, there was an article in the Boston Globe talking about a prep school discarding all of their books and converting the library into an information center, complete with Kindles & Sony E-readers, plasma televisions streaming internet video, and coffee bar. Most notably in the article, the headmaster sees books as “an outdated technology, like scrolls before books”. The reaction on Twitter (where the article was linked to me) was mostly sadness and outrage at the decision. (Here’s a quick search regarding it.) I can’t say that my gut reaction wasn’t along those lines; but the more I think about it, the more such a decision makes sense to me. From the collection development point of view, a non-fiction collection represents a static snapshot of the world as it understood at that moment. In general, from the moment a non-fiction book is printed, the information within starts becoming obsolete. On a long enough time line, this book will be replaced by a new one that reflects the new research, new understandings, and/or new information that has been uncovered on a subject. I will concede that some subjects are going to remain unchanged barring a revolutionary breakthrough. However, when it comes to non-fiction of dynamic subjects such as modern events, science, economics, computers, art, and sports, static print will inevitably be outdated on a regular basis. Within my own library system, parts of our print reference collection are being replaced by virtual reference library. 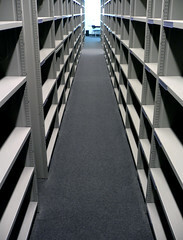 The contemporary nature of subscription services and reference materials on a host of subjects (such as the ones I have named) make a virtual reference collection preferable to a print collection so as to reflect the most up to date information and make it universally available across all of our branches. School officials said when they checked library records one day last spring only 48 books had been checked out, and 30 of those were children’s books. In my mind, it turns the issue into a circulation one. As I work on weeding our non-fiction collection at my branch, I’m looking at numbers as a factor as to whether or not I remove a book from the collection. (Don’t worry, it’s not the only factor.) But within your own library, if you have a book that doesn’t circulate, isn’t that the first step towards weeding it from the collection? In this drastic case, all of the books got weeded as one for anemic circulation numbers. I think this type of move by a school is intriguing enough to see how it goes; an experiment, if you will. But I think the real question that librarians and library professionals should be asking themselves is this: are we married to a medium or a message? If we fight to preserve books for the sake of books, are we adding argument to our own irrelevancy? Nowhere in the article is it stated that reading is being discouraged; in fact, there is a distinct impression by one of the commenters that using online or e-readers is a second class citizen of reading. (William Powell: ““There are modes of learning and thinking that at the moment are only available from actual books,’’ he said. “There is a kind of deep-dive, meditative reading that’s almost impossible to do on a screen. 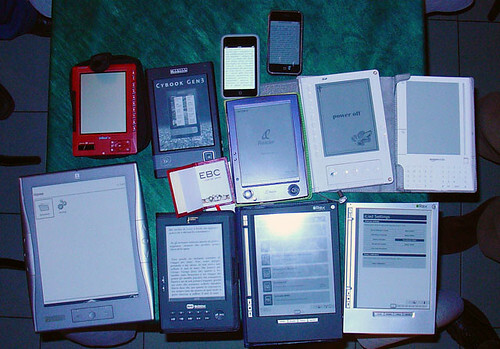 Without books, students are more likely to do the grazing or quick reading that screens enable, rather than be by themselves with the author’s ideas.’’) To this point, I cannot agree. It is the words that matter, not the medium on which they are found. An idea does not morph or mutate when it moves from print to screen; only the form of the messenger that relays them. It is my belief that one of my purposes as a librarian is connect a patron to the literature or information of what they desire regardless of the medium. If a patron wants something in a non-print format (audio, e-book, or video), then I should do my best to get it to them in their preferred format. To outright defend the removal of the print medium regardless of the underlying facts and circumstances is a rehearsal of one’s own prejudices against words found in forms other than print. Librarians are for intellectual freedom with no stipulation as to how the mental investigative process runs; in that capacity, we should look to champion such an ideal in all possible mediums, regardless of our personal preferences. The strength of the future library collection is not in the total numbers of titles owned, but the number of different formats materials in the collection come in. The book will never die, but the printed page that it is most commonly found in may fade into the background as the paperless book revolution marches forward. This is an exciting time as the barriers to information access crumble away with each technological innovation cycle. This is a time to innovate our services and materials to match this future need. What if paper was invented today?